In the trauma center of Atlanta's busiest hospital, Sara Linton treats the city's poor, wounded, and unlucky - and finds refuge from the tragedy that rocked her life in rural Grant County. 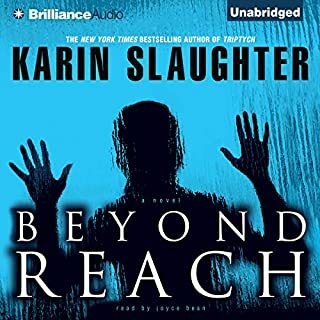 Then, in one instant, Sara is thrust into a frantic police investigation, coming face-to-face with a tall, driven detective and his quiet female partner. 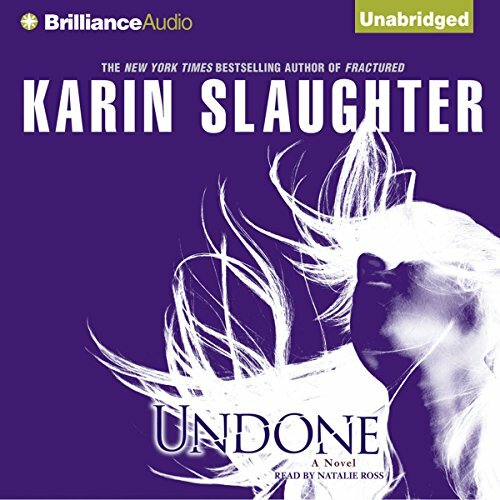 In Undone, three unforgettable characters from Karin Slaughter's New York Times best-selling novels Faithless and Fractured collide for the first time, entering an electrifying race against the clock - and a duel with unspeakable human evil. In the backwoods of suburban Atlanta, where Sara's patient was found, local police have set up their investigation. 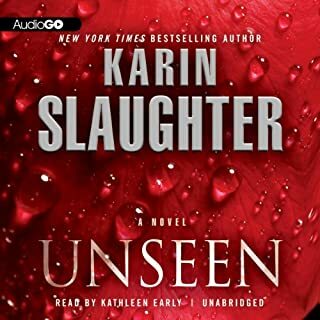 But Georgia Bureau of Investigation detective Will Trent doesn't wait for the go-ahead from his boss - he plunges through police lines, through the brooding woods, and single-handedly exposes a hidden house of horror. Then he finds another victim. 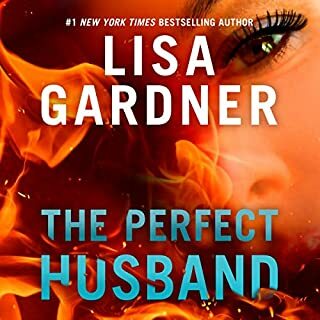 Wresting the case away from the local police chief, Will and his partner, Faith Mitchell - a woman keeping explosive secrets of her own - are called into a related investigation. Another woman has been snatched. 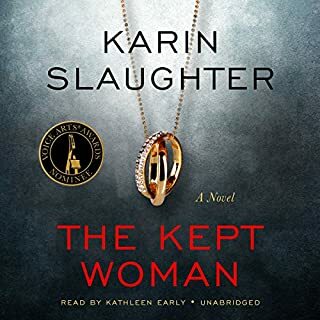 For the two cops out on the hunt, for the doctor trying to bring her patient back to life, the truth hits like a hammer: The killer's torture chamber has been found, but the killer is still at work. 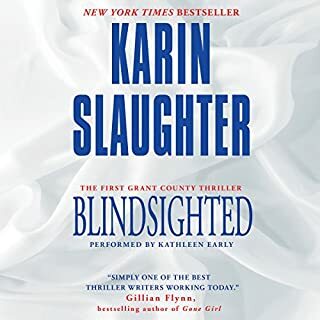 ©2009 Karin Slaughter (P)2009 Brilliance Audio, Inc. 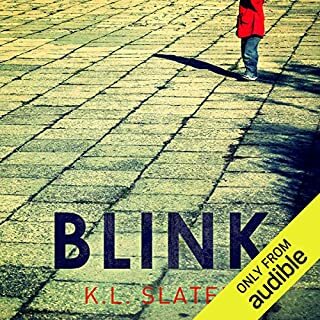 The story and writing were great to begin with... but they were frequently eclipsed in my mind by the outstanding narration. 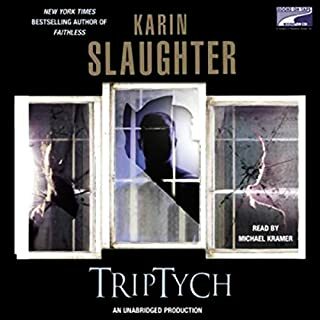 As a musician/vocalist by training, I would like to think I have a special appreciation for auditory nuance... this recording set a gold standard in my mind for what can be done by a gifted narrator. 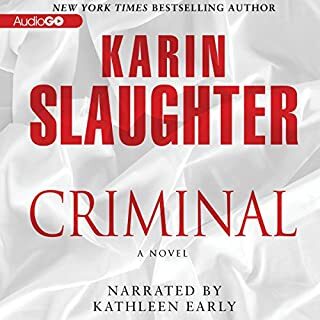 My first audiobook and it was awesome! I look forward to my next intriguing read. 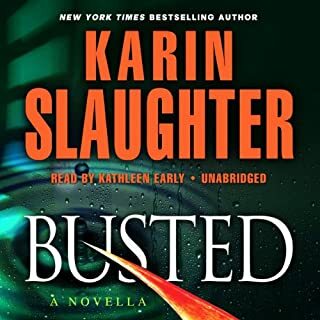 Karen has a knack for making every female reader want to swagger when they walk letting the world know they won't take any more B.S. Once again I flew through this one. 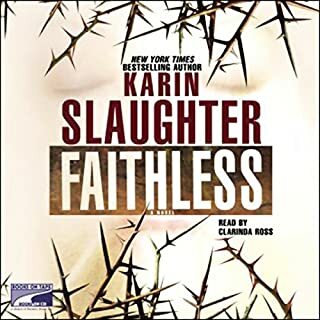 By now, this is my fourth venture into Slaughter World, I've become so engrossed in the lives of her characters that I have to finish the entire series. Why only 4 stars? Well my first 3 experiences were homeruns but this one is a solid double. Many thanks to the reviewer tip that alerted us that the order was wrong. I liked the narrator, but she's in competition with 3 superior performances. 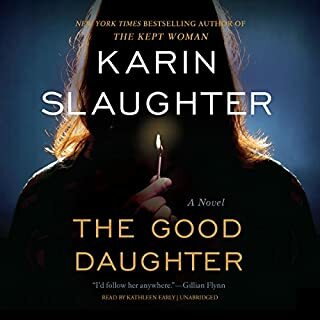 If you like a really good mystery with great writing and characters you can identify with, you'll love this one! 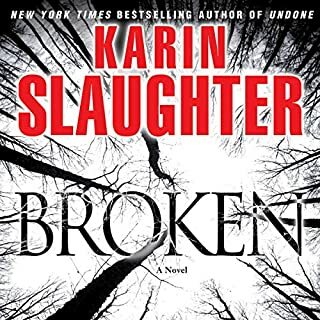 Love the books, great series.....but I was disappointed to listen to Broken before Undone. Read/listen to Undone first. Broken happens after the Undone novel. 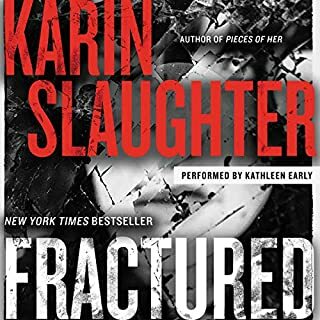 After reading Triptych and Fractured, I was excited to start Broken. Right from the beginning, I felt like I missed a book. I went back to the series list, just to make sure I downloaded the right book. Audible, please fix. Triptych, Fractured, Undone, Broken. Starting Criminal now. The story was okay but over exaggerated. Everyone is mad at everyone. The torture is just too much I liked the first two books, but I don't think I will continue with this series. Will Trent is a great character but I am not too fond of anyone else. 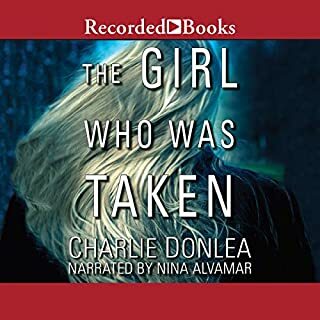 I love the characters and the story and really appreciate having a woman-from-Georgia author of this quality, but I am very, very unhappy with the editing and/or narration of this series, especially the volume volatility. 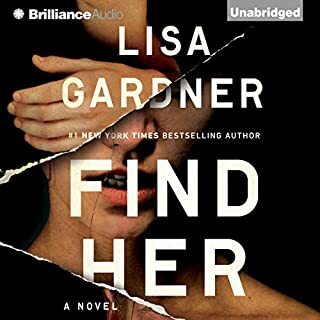 I've read the first 4 books in the Will Trent series now but find I can only listen to any of these narrators on my HIGH END smart phone with my thumb over the speaker to smash down on the screaming then still be able to hear the normal volume levels. That negates the value of being able to listen to an audio book while washing the dishes, eh? I've tried multiple equalizer apps to no avail and MOST of the 200+ audiobooks I've listened to do not have these extreme volume ranges. I imagine better sound editing could solve most of this problem, but the Trent 1-4 narrators seem to speak as a blow-hard character, or a terrified woman by blowing out my ear wax and leaving me with an aching head. There are more subtle ways to distinguish characters and provide drama. Just now, I listened to a section where Faith screams, "WILL! WILL! HELP!" My head still aches 15 minutes later. Too grisly and gory for me. What did you like best about Undone? What did you like least? Unlikely. 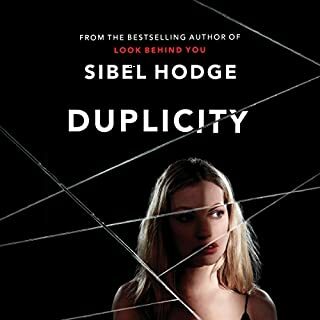 The book description and other reviews did not allude to the sadistic, ugly narrative. Not her best work, but nice to see the growth. if you're a fan of the series, of course you'll have to read this one. I wasn't a huge fan of this one, and felt the story drug on a bit. 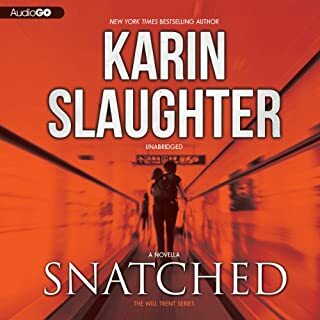 That being said, Slaughter is a fantastic author and I'll gladly devour anything she writes. This is the best in the Will Trent series. Next is broken I can't wait to start it. Where does Undone rank among all the audiobooks you’ve listened to so far? This is a gripping tale. Number 3 in the series and the best so far. What was one of the most memorable moments of Undone? I like the introduction of "Faith" and "Sarah," both of whom are written as realistic women. The "Angie" character is a bit too extreme to seem real. Loved her narration. I'd put her up there with Divina Porter that narrates the Outlander books. I wish she would do all of the Will Trent books. I kept finding things to do so that I could listen. The narrator really made the story so much more compelling. If you could sum up Undone in three words, what would they be? Undone is very satisfying when it comes to mystery and thrilling. The book physiologically is very disturbing and sinister. Can't wait to download the next one! 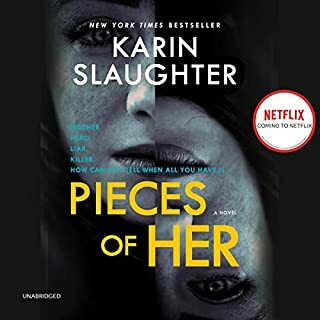 This book is a great listen. Even though I haven't yet finished this book it's good. Only problem I had is it repeats itself so far 3 different time. I only have 37 min. left but I think I know how it's going to end. Maybe I should of waited until then, but I have enjoyed this book and thought you all should know. I like her voice. She doesn't make me crazy like some. Wish I could but didn't have 16 hours to spare. I'm going to finish this book now. Hope all enjoy it as much as I have.